Can I automatically follow users back who followed me? With the Auto follow back function activated our bot will follow your followers back. You can enable this setting in the "Followers" sub-tab under "Follows"
What is the black list? 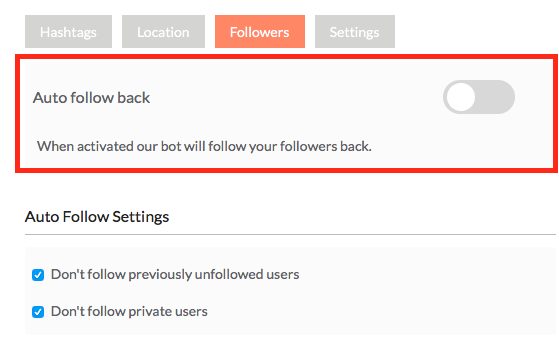 What is the automatic follow feature?